SEASON AND STORE YOUR LOGS FOR WINTER – ACT NOW! With energy prices continuing to rise, it makes better sense to look to your fireplace in the winter months to help you reduce your home heating bills. Believe it or not, now is the perfect time to get your firewood supply in order. To start seasoning your logs for the cold winter months to come. If you put in the work now, you can ensure a warmer winter ahead. It’s no surprise that when you come to spark up your logs for the first time, burning unseasoned (green) wood in your stove or fireplace will produce creosote to build-up in your chimney. This can lead to a rather unpleasant roomful of smoke, blackened glass windows of your wood burning appliance and at worst a chimney fire. Therefore, every homeowner who uses a fireplace regularly in winter needs to know how to season the wood properly so that it burns efficiently. 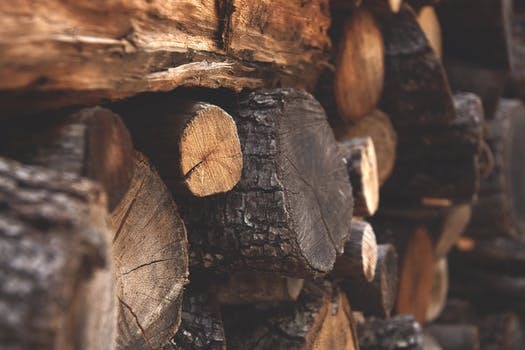 Make sure you cut the firewood to the right length and width of your wood burning stove or fireplace and ensure you split it to create smaller pieces and expose the grain. This should help the wood to dry out and season at faster rate when it is stored. 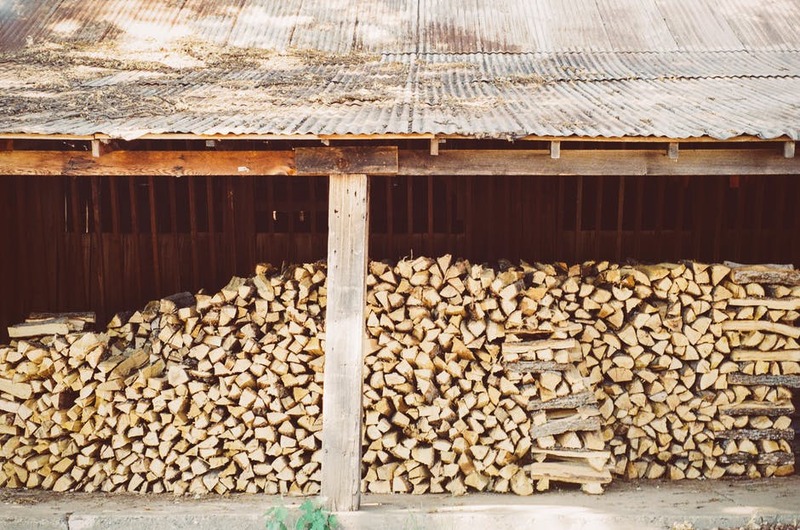 Once the logs have been cut to size, they need to be stacked correctly and stored in order for them to season properly. 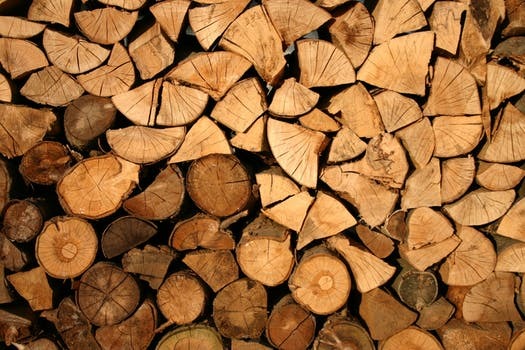 Find a suitable storage place where both the sun can warm the firewood and the wind can blow through the firewood. It should be protected from the rain and ideally raised from the ground but not directly stacked against a wall. Air circulation around the wood is key to enable it to dry efficiently. If you choose to use tarpaulin for protection make sure the wood is not completely covered to stop the wood sweating to allow sufficient ventilation. Firewood can take a long time to season properly but generally you should leave your stacked firewood for at least six months before use. If you act in the summer months, you can take advantage of the warm weather to start drying out the wood. It then should be ready for use in the New Year. Remember dense hardwoods take longer to dry than softwood. 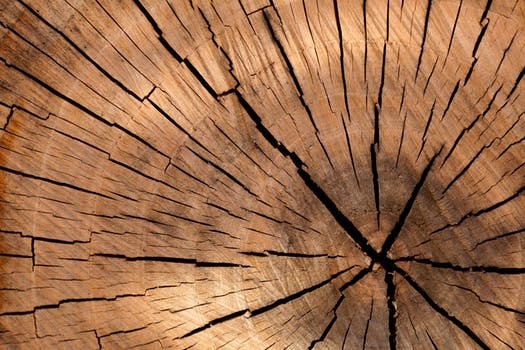 You should be able to tell if your logs are well seasoned as the bark will be able to peel off easily. Splits and cracks appear in the end of the logs which have darkened, the logs feel relatively light and you will hear a hollow sound when you knock two pieces together. If in doubt, then another way to verify whether your wood is properly seasoned is by using a moisture meter. This will check whether the wood’s moisture content is less than 20 percent. Another thing to think about before lighting your fire for the first time in the cooler months is to make sure you have had your chimney swept and if you have a wood-burning or multi-fuel stove then this should be serviced annually. The Billington Partnership offers a full service for solid/fuel fires and can organise for your chimney to be swept. Contact us today on 07545 855623 and we’ll be happy to discuss your requirements.